In optics, orange has a wavelength between approximately 585 and 620 nm and a hue of 30° in HSV color space. In the RGB color space it is a secondary color numerically halfway between gamma-compressed red and yellow, as can be seen in the RGB color wheel. The complementary color of orange is azure. Orange pigments are largely in the ochre or cadmium families, and absorb mostly blue light. Varieties of the color orange may differ in hue, chroma (also called saturation, intensity, or colorfulness) or lightness (or value, tone, or brightness), or in two or three of these qualities. Variations in value are also called tints and shades, a tint being an orange or other hue mixed with white, a shade being mixed with black. A large selection of these various colors is shown below. At right is the color orange, also known as color wheel orange. This is the tone of orange that is a pure chroma on the HSV color wheel, the expression of which is known as the RGB color wheel, exactly halfway between red and yellow. The complementary color of orange is azure. At right is the web color called orange. It is defined in CSS as the hex triplet FFA500. The web color called dark orange is at the right. Safety orange (also known as blaze orange, and a number of other names) was defined in ANSI standard Z535.1-1998 and is commonly used in a wide variety of contexts to warn of hazards, including: high-viz clothing, road cones, and as the background color in safety warning notices. A shade of orange known as International orange is used in the aerospace industry to set objects apart from their surroundings, similar to Safety orange, but deeper and with a more reddish tone. It was the color used for the Space Shuttle pressure suits. At right is displayed the color that is called orange in Pantone. The source of this color is the "Pantone Textile Paper eXtended (TPX)" color list, color #021 TPX—Orange. At right is displayed the color that is called orange by Crayola. Orange was one of the original colors formulated by Crayola in 1903. Displayed at right is the web color papaya whip, a pale tint of orange. Papaya whip is a representation of the color that would result if mashed papayas were blended with vanilla ice cream, whipped cream, or yogurt. At right is displayed the color peach. 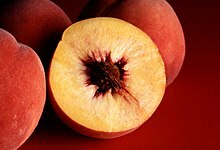 The first recorded use of peach as a color name in English was in 1588. Displayed at right is the color light orange. This color was formulated for Crayola colored pencils. At right is displayed the color apricot. Apricot has been in use as a color name since 1851. Displayed at right is the color melon. This color is a representation of the color of the interior flesh of a cantaloupe, the most commonly consumed melon. The first recorded use of melon as a color name in English was in 1892. In 1958, melon was formulated as one of the Crayola colors. Displayed at right is the color atomic tangerine. This color was formulated by Crayola in 1990. Atomic tangerine is supposed to be a fluorescent color, but there is no mechanism for showing fluorescence on a flat computer screen. At right is displayed the color tea rose. This color is the color of a type of orange rose called a tea rose. Note that the Pantone colors known as "Tea Rose" (16-1620 TCX, TPX, and TPG) are more pinkish in hue than ISCC-NBS color of the same name. Carrot orange is a tint of orange that is a representation of the color of the raw carrot vegetable. The first recorded use of carrot orange as a color name in English was in 1684. Displayed at right is the color orange peel. A discussion of the difference between the color orange (the color halfway between red and yellow, shown below as color wheel orange) and the color orange peel (the actual color of the outer skin of an orange), may be found in Maerz and Paul. Orange peel is the color halfway between orange (color wheel) and amber on the color wheel. The first recorded use of orange peel as a color name in English was in 1839. The first recorded use of Princeton orange as a color name in English was in 1928. The color symbolizes Princeton University and is defined as Pantone 158. The equivalent RGB values vary among sources. One such color, closely matching that used on the defining pages at Princeton, is shown at right. This shade of orange is unique to the University of Tennessee (UT), defined by the institution as Pantone 151, and is called UT orange. It is offered for sale by The Home Depot and licensed by the university. According to the university, this shade of orange is derived from the American daisy, which grew in profusion on the oldest part of the campus, The Hill. Spanish orange is the color that is called anaranjado (the Spanish word for the colour "orange") in the Guía de coloraciones (Guide to colorations) by Rosa Gallego and Juan Carlos Sanz, a color dictionary published in 2005 that is widely popular in the Hispanophone realm. The first recorded use of tangerine as a color name in English was in 1899. The Cucurbita upon which the color "pumpkin" is based. Pumpkin is a color that resembles pumpkins. 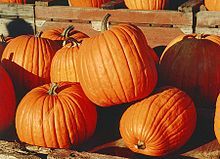 The first recorded use of pumpkin as a color name in English was in 1922. Pumpkin or orange is used with black for Halloween decorations. The color Giants orange is displayed at right. This is the color that symbolizes, along with black and cream, the San Francisco Giants baseball team. Vermilion is a color that originates from the pigment found in the mineral cinnabar. Vermilion is also sometimes misspelled as "vermillion". Also known as cinnabar and in its deeper form known as China red, vermilion is reddish orange, much like scarlet, only more orange than scarlet. 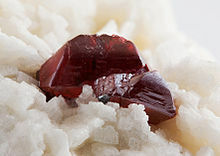 It can be produced naturally (from the mineral cinnabar) and artificially. Cinnabar is a deep red-orange mineral, mercuric sulfide, HgS; the principal ore of mercury; the pigment vermilion is extracted from this ore. The web color tomato is a medium reddish-orange color that is the color of actual supermarket tomatoes. Many vine-ripened tomatoes are a bit redder. The color of tomato soup is slightly less saturated. The color tomato is displayed at right. 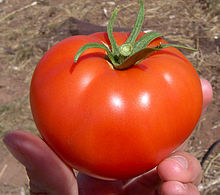 The first recorded use of tomato as a color name in English was in 1891. When the X11 color names were invented in 1987, the color tomato was formulated as one of them. In the early 1990s, the X11 colors became known as the X11 web colors. The web color Syracuse Orange is an orange color that is branded by Syracuse University. According to its website, Orange was adopted as the University color in 1890. The color was selected after a vote by students, faculty, alumni, and trustees, who noted it was a strong, bright color not claimed by any other school; it was Syracuse University’s for the taking. It was chosen to represent the golden apples of Hesperia, as well as the story of the sunrise and hope for a golden future. Syracuse University was the first school to adopt only one official color. The color bittersweet is displayed at right. The first recorded use of bittersweet as a color name in English was in 1892. In 1958, bittersweet was made into a Crayola color. RoseArt calls this color sweetbitter instead of bittersweet. Persimmon is a color that resembles persimmons. The first recorded use of persimmon as a color name in English was in 1922. Butterscotch is a color that resembles butterscotch. Persian orange is a color used in pottery and Persian carpets in Iran. The first recorded use of Persian orange as a color name in English was in 1892. Orange pudding (milk added to pureed oranges that is mixed in a blender with flour and slowly boiled on a stovetop) is colored Persian orange, assuming no food coloring is added. Allis-Chalmers tractors have been colored Persian orange since 1928 so that, even when caked with dirt, they could still be distinguished from landscape features. Displayed at right is the color alloy orange. Alloy orange is one of the colors in the special set of metallic Crayola crayons called Metallic FX, the colors of which were formulated by Crayola in 2001. Although this is supposed to be a metallic color, there is no mechanism for displaying metallic colors on a computer. Burnt orange has been used as a color name for this medium dark shade of orange since 1915. This color is one variation that is used as a school color of The University of Texas at Austin, Auburn University, and Virginia Tech. Burnt orange is not a standard color; for example, it is defined differently by Auburn University and the University of Texas at Austin. The National Hockey League's San Jose Sharks use burnt orange as a secondary color, and it is one of three colors of the National Football League's Cleveland Browns. The Chicago Bears also use it as an alternate color. Burnt orange was used by the University of Montana prior to 1996 and Oklahoma State University for its football uniforms from 1973 through 1983. Burnt orange was popular in interior design in the 1970s. Displayed at right is the color bittersweet shimmer. Bittersweet shimmer is one of the colors in the special set of metallic Crayola crayons called Metallic FX, the colors of which were formulated by Crayola in 2001. Brown, although an independent color term, actually combines the orange hue (or close to orange) with low brightness. It can be described as an especially dark orange or, in painters' terminology, a deep shade of orange. The first recorded use of brown as a color name in English was in about 1000 AD in the Metres of Boethius. ^ Forret, Peter. "RGB Color converter - toolstudio". Web.forret.com. Retrieved 20 November 2017. ^ Type the word "Orange" into the indicated window on the Pantone Color Finder and the color will appear. ^ "- Find a Pantone Color - Quick Online Color Tool". Pantone.com. Retrieved 20 November 2017. ^ The color displayed in the color box above matches the color called peach in the 1930 book by Maerz and Paul A Dictionary of Color New York:1930 McGraw-Hill; the color peach is displayed on page 41, Plate 9, Color Sample A5. ^ The color displayed in the color box above matches the color called apricot in the 1930 book by Maerz and Paul A Dictionary of Color New York:1930 McGraw-Hill; the color apricot is displayed on page 43, Plate 10, Color Sample 7F. ^ Maerz and Paul A Dictionary of Color New York: 1930—McGraw-Hill. See page 189 for year of first recorded use of color name reference and page 43, Plate 10 Color Sample 7F for color sample of Apricot. ^ Maerz and Paul A Dictionary of Color New York:1930 McGraw-Hill Page 200; Colour Sample: Orange Peel Page 43 Plate 10 Color Sample L10. ^ "Color – Office of Communications". Princeton University. Retrieved October 28, 2013. ^ "Our Palette". University of Tennessee, Knoxville–Office of Communications & Marketing. October 24, 2015. Retrieved October 24, 2015. ^ Nikolaev, 8Bytes studio, Koshevoy Dmitry. Ukraine,. "HEX color #F28500, Color name: Tangerine, RGB(242,133,0), Windows: 34290. - HTML CSS Color". Htmlcsscolor.com. Retrieved 20 November 2017. ^ The color displayed in the color box above matches the color called pumpkin in the 1930 book by Maerz and Paul A Dictionary of Color New York:1930 McGraw-Hill; the color pumpkin is displayed on page 43, Plate 10, Color Sample H11. ^ The color displayed in the color box above matches the color called vermilion in the 1930 book by Maerz and Paul A Dictionary of Color New York:1930 McGraw-Hill; the color vermilion is displayed on page 27, Plate 2, Color Sample L11. It is noted on page 193 that the color cinnabar is another name for the color vermilion. ^ "Colors". Syracuse University. Retrieved March 2, 2018. ^ The color displayed in the color box above matches the color called persimmon in the 1930 book by Maerz and Paul A Dictionary of Color New York:1930 McGraw-Hill; the color persimmon is displayed on page 35, Plate 6, Color Sample E12. ^ a b "Color". University of Texas at Austin. Retrieved April 14, 2015. ^ "Official Colors". Auburn University. August 10, 2010. Retrieved April 14, 2015. ^ The shade of burnt orange used by Auburn University is RGB 221, 85, 12; HEX #DD550C. ^ The shade of burnt orange used by the University of Texas at Austin is Pantone 159; CMYK 0, 65, 100, 9; RGB 191, 87, 0; HEX #BF5700. ^ "Front Office Directory". San Jose Sharks. Retrieved April 14, 2015. ^ "Glidden Team Colors: 8-oz. #NFL-171A NFL Cleveland Browns Orange Interior Paint Sample". The Home Depot. Retrieved April 14, 2015. ^ The shade of orange used by the Cleveland Browns is RGB 240, 93, 53. ^ Moy, Chelsi (May 20, 2010). "UM President Dennison reflects on his legacy, MT". The Missoulian. Missoula, Montana. The Associated Press News Service. ^ Killackey, Jim (November 3, 1984). "It's Official! OSU's True School Color Will Be "PMS 166' Other Orange - Hues Taboo". The Daily Oklahoman. Stillwater, Oklahoma. ^ "brown, adj". Oxford English Dictionary. OUP. Retrieved 20 April 2011.